Welcoming the new Girl of the Year, Blaire Wilson! 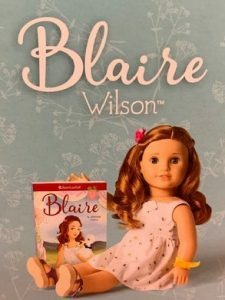 Let’s welcome the newest Girl of the Year character, Blaire Wilson! Blaire loves taking care of the animals on the Pleasant View Farm Bed & Breakfast (located, in upstate New York) including Dash the goat, Penelope the lamb, and Dandelion the silkie chicken. She also loves to cook all sorts of foods and yummy treats. But her passion turns sour when its discovered she’s lactose intolerant, meaning she is hypersensitive to dairy products. Luckily, she finds the perfect distraction from her unwanted new diet when Cat, the Farm’s manager, becomes engaged, and Blaire is mistaken for the wedding planner. At first, Blaire is ecstatic to have such an important responsibility, but the hassle of putting a wedding together starts stressing her out and puts a strain on her friendships. Blaire must figure out how to save her relationships with her friends and fix everything before it turns into a recipe for disaster. If you want to know more about Blaire and her story, than do we have a treat for you at Girl AGain! 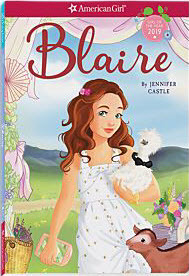 We will be hosting a special visit from the author of the Blaire books, Blaire and Blaire Cooks Up a Plan, Jennifer Castle! 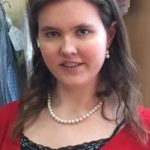 She will answer all your questions about the development of the story-line and characters, and even lead a writing workshop for budding authors! If you’re interested, you can order tickets online here for Saturday, April 27 at 11 AM. Hurry now while spots are available. For girls 9 and older please. 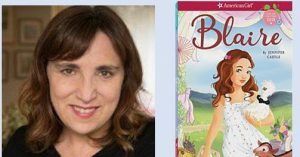 We will also be selling both of Blaire’s books at our store in April and beyond. Come in soon and request your copy today! 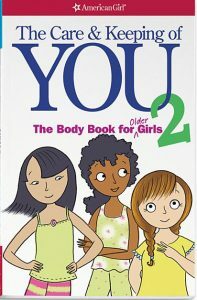 Not only that, we carry a number of American Girl books from the Historical Collections, past Girl of the Year collections, character mystery stories, craft sets and various advice books on boys, style, self-esteem and puberty, such as the popular and useful Care and Keeping of You series. All books are 20% off in April too!